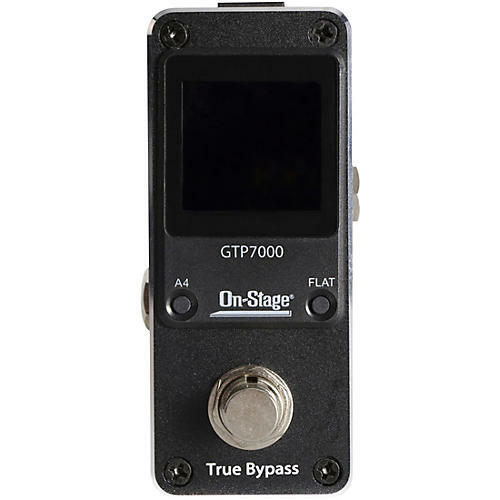 Compact yet overly capable, the On-Stage GTP7000 smoothly and stably integrates with your effects board, occupying minimal space. This chromatic mode tuner with 430 - 450Hz pitch range and +/- 0.5 cent tuning tolerance is powered by a 9V DC adapter. The oversized, high visibility 4 color regular, strobe or half strobe display provides easily-read note name indication, while true bypass circuitry ensures absolute signal integrity. Dimensions 3.6" x 1.5" x 1.2"